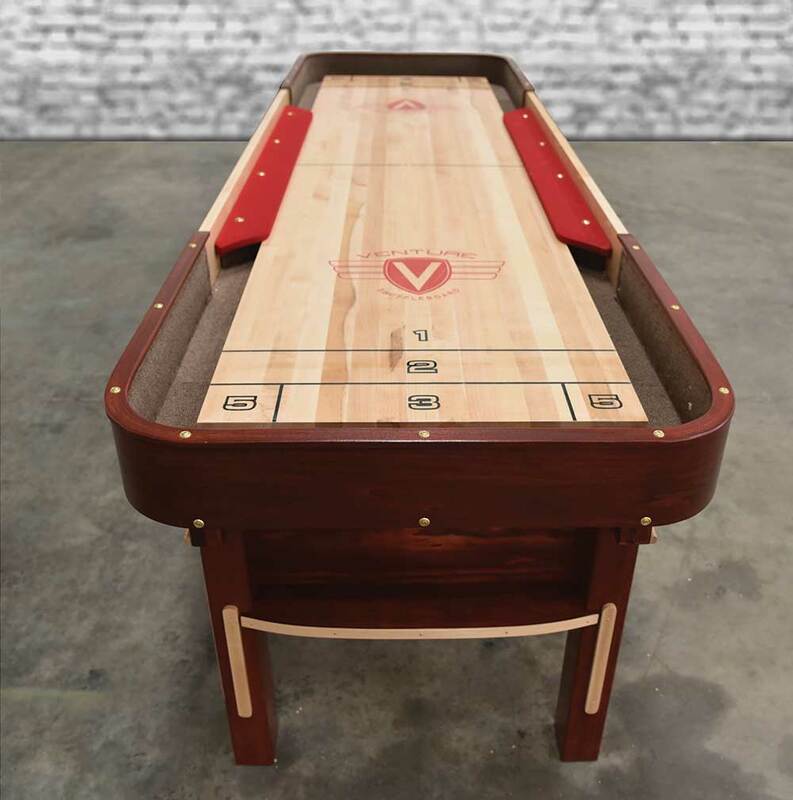 Get the popular Grand Deluxe design scaled down to a convenient 9' with Venture's Grand Deluxe Bankshot shuffleboard table! 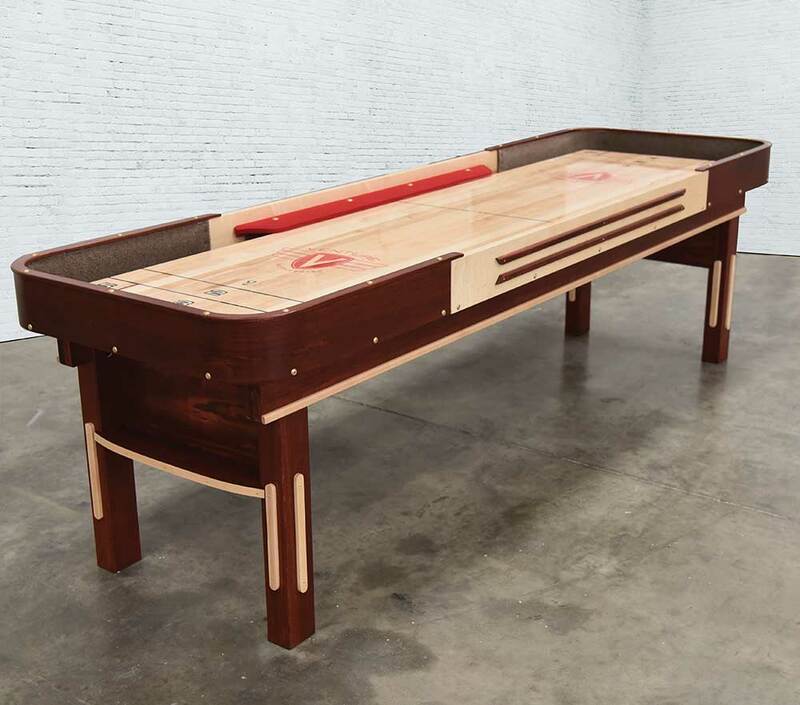 With a 24"W x 1-3/4" thick playfield and billiard cloth covered rails, the 9' Grand Deluxe Bankshot has everything you need to complete the "bank" gaming style. 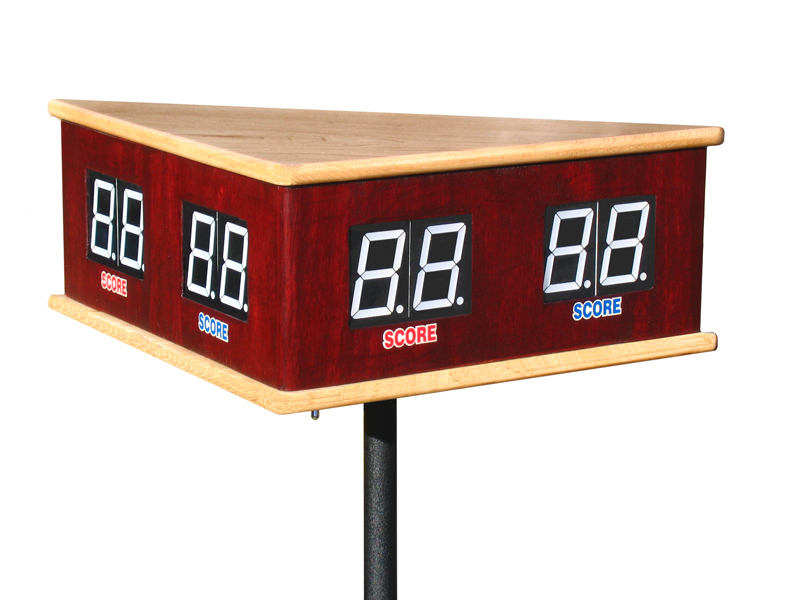 The Grand Deluxe design has been impressing players since the 1930s and offers true classic American styling. 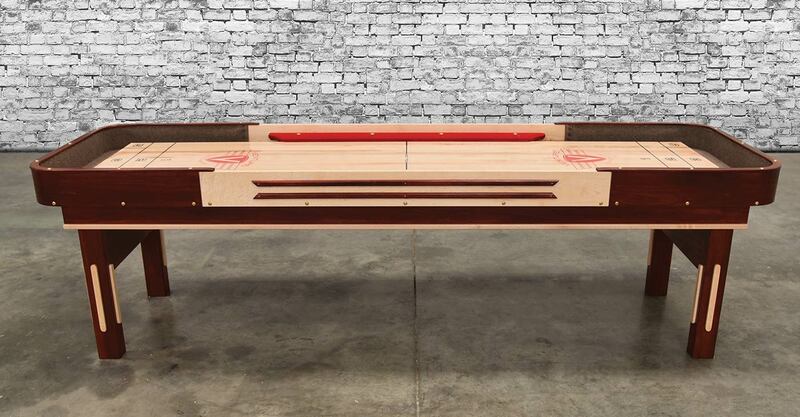 Choose from 3 standard stains; Stelter Mahogany, Chestnut and Dark Walnut or select your own custom stain to ensure your Grand Deluxe Bankshot fits your personality and your game room. 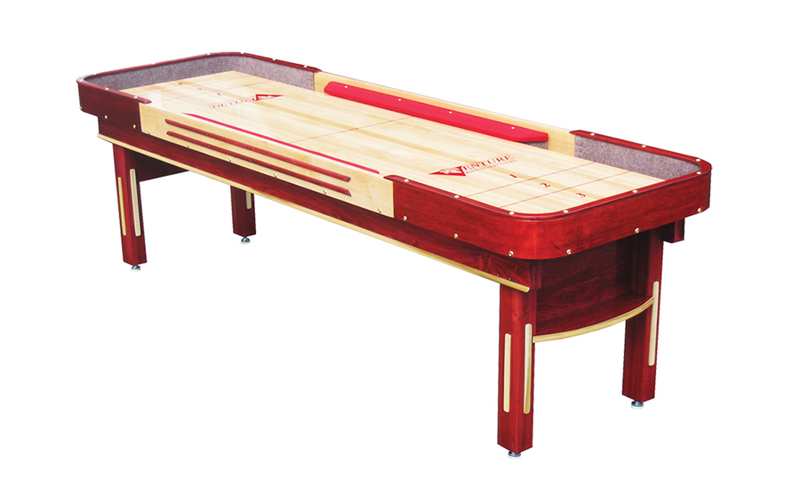 Each Grand Deluxe is finished using Venture's premier 6 step finishing process, giving your table its distinctive shine. 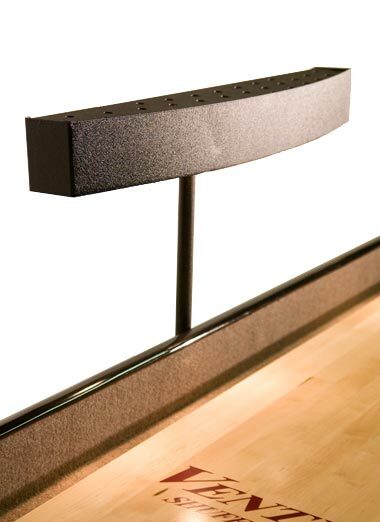 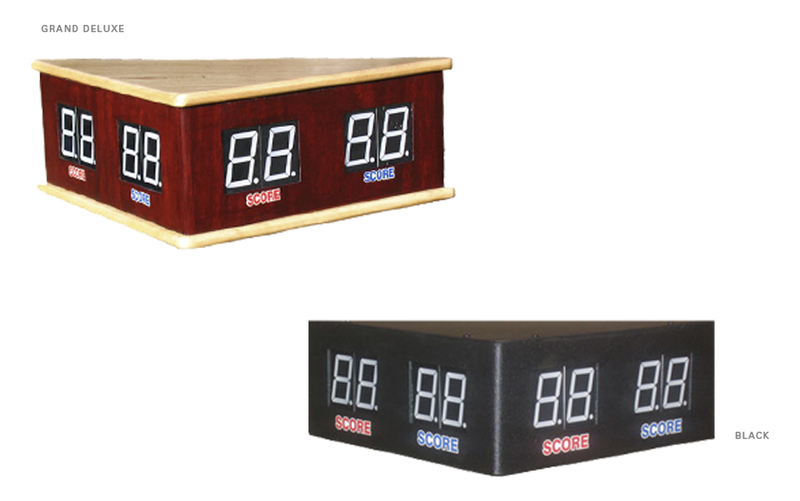 Touch up your entertainment space with timeless American design and save space; order the Grand Deluxe Bankshot today!